Proverbs 13:12 ~ Hope deferred makes the heart sick: but when the desire comes, it is a tree of life. This is a very important verse for us to understand if we are going to live and walk by faith. Understanding what hope is and how it works will help us be more effective when using our faith to get results. Understanding how deferred hope hurts our faith will keep us from hopelessness, and ultimately, making shipwreck of our faith. So first lets define hope and see how it works. Hope has been defined as “earnest expectation,” derived from Philippians 1:20 and I think that is an accurate definition … up to a point. You see, hope and faith are tied together just the same as fear and hopelessness are tied together. They operate on the same principles and are governed by the same spiritual laws. I think a better definition of hope is: “A vision of good and blessing obtained from God and His Word”. Hope is the vision, or picture, of our faith. It is the blueprint for what we are believing for. Hope is the spiritual eyes of our faith, and our faith gives the substance to our hope, and is the evidence to us, and others, of the things hoped for. Hebrews 11:1 ~ Now faith is the substance of things hoped for, the evidence of things not seen. Hope does not see with the natural eye. Hope sees with the heart, or more accurately, the inner man. Hope sees things finished before they even start. Hope sees the future, the end result, the goal, the vision. Hope is the eye of faith. Hopelessness sees with the natural eye. Hopelessness sees with the 5 physical senses and it has more faith in the current circumstances and the bad reports than in God’s promise. Hopelessness sees the future too, and it is dreadful. Hopelessness is the eye of fear. What does it mean to have hope deferred? When something is deferred it is put off, postponed, or moved from one place to another. When our hope is deferred in means that we begin to look away from the vision of hope in our inner man, and begin looking at another blueprint, another picture, another vision, one that is contrary to our hope. When we defer our hope for another vision, another blueprint, another end result, we hurt our heart and do damage to our inner man … we make our heart sick. There are many words in the Old Testament Hebrew that we translate sick. This particular word means to crack open and split apart as with an opening wedge. If you have ever seen someone split firewood with an axe or a maul, this is the picture of what happens to our heart, when our hope is deferred. Not a pretty picture is it? Furthermore, we don’t just hurt our spirit, but our entire inner man. Without going into a long lesson of the three parts of man, understand that we are a triune being. We are a spirit, we have a soul, and we live in a physical body. The word heart used in Proverbs 13:12 doesn’t just refer to the spirit man, but the entire inner man. We have and outer man, (our body) and we have an inner man, (our spirit, and soul). Our inner man is the eternal, spiritual part of our being. The body is the temporal, or temporary part of our being. The inner man is our spirit, and soul, which includes our mind, our will and emotions, the seat of our thoughts, appetites, passions, and desires. I like to call it, “our believer, thinker, and our chooser.” It is important to understand that these parts of the inner man are ALL spiritual, and are influenced spiritually. This is what gets damaged when our hope is deferred. Are you beginning to see how serious this is? Can you see why we have multitudes of believers that are sick on the inside? This can be avoided! Being tactical is characterized by being strategic, efficient, smart, and skillful. I learned a long time ago that when it comes to faith, tactical is practical. One of the greatest tactics we can learn is how to establish and anchor our hope so that it is immovable, and unshakable. there is only one way to do that, and only one place to drop the anchor, the Word of God. Hebrews 6:18-20 ~ 18 That by two immutable things, in which it was impossible for God to lie, we might have a strong consolation, who have fled for refuge to lay hold upon the hope set before us: 19 Which hope we have as an anchor of the soul, both sure and stedfast, and which entereth into that within the veil; 20 Whither the forerunner is for us entered, even Jesus, made an high priest for ever after the order of Melchisedec. Hope, in this passage, is refered to as an anchor of the soul. Your soul is the eternal part of your inner man that consists of your mind, emotions and will. 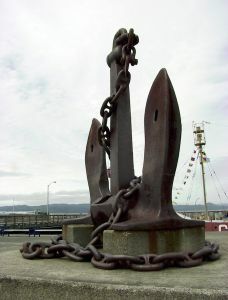 If hope is the anchor, then the ship that the anchor is tied to is your thinker, feeler and chooser. If that anchor is not properly set, when the storms come and the going gets rough (and it will), your thoughts, emotions, and will, are tossed around and driven by the winds of circumstance. 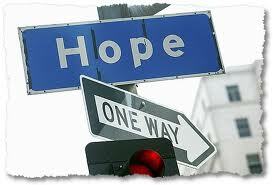 Your hope is not anchored to anything solid so you begin to entertain the possibility of a different outcome. The vision that you have of victory becomes blurry and indistinct. The picture that is most clear to you now is the storm and the damage that it is doing. Your hope has been deferred … and you become heart-sick, divided, split in two, a wedge of doubt driven into your inner man … you become double minded! James 1:5-7 ~ If any of you lack wisdom, let him ask of God, that giveth to all men liberally, and upbraideth not; and it shall be given him. 6 But let him ask in faith, nothing wavering. For he that wavereth is like a wave of the sea driven with the wind and tossed. 7 For let not that man think that he shall receive any thing of the Lord. 8 A double minded man is unstable in all his ways. This principle doesn’t just apply to wisdom, but anything that you ask God for. So how do we stay strong in our faith, nothing wavering, even in the midst of great storms, bad reports and terrible circumstances? Strong faith always begins with clear, strong hope. Remember that hope is the blueprint for our faith. If you were going to build a house, the first thing you would do is get the blueprints for the house you want so that the builder would know how it is supposed to look. Every detail of that house is on the blueprint so that the end result, when it is put together, looks exactly like the house you envisioned. Without a blueprint the builder does not have the ability to give you what you want. If you tell the builder to build a house and don’t specify exactly what you want, he may build you a doll house, a dog house, or an outhouse! Give the builder (YOUR FAITH) the right blueprint and as he builds it and gives substance to the blueprint you will have ongoing evidence that your house will be built exactly the way you had hoped. I love that quote. If you are not fully persuaded of God’s will BEFOREHAND, and get a blueprint of God’s desire for you concerning what you are hoping and believing for, then you are basing your faith on a shaky foundation. When tests and trials come you will be easily discouraged and your hope will easily be deferred. You WILL become wavering and double minded and will not receive what you are believing for. The mistake most people make is that they never establish God’s will for their situation in their own heart and mind before releasing their faith. Their hope is not a clear picture of God’s desire for them, but a blurry nondescript picture formed by beliefs based on other people’s knowledge and revelation of God’s Word. We MUST know what we believe and WHY we believe it before exercising our faith. I see many people who are physically sick that have become discouraged, hopeless and even blaming God because of deferred hope. They can’t understand why God did not answer their prayers for healing. Their beliefs have been shaken, they are confused, and even angry at God. And yet they can’t even quote one scripture on divine healing. They have not familiarized themselves with God’s promises of healing that are literally everywhere in the bible. They are NOT convinced that it is God’s will that THEY should be healed. They never had a clear vision of hope to base their prayers and faith on. They never bothered to get a clear blueprint for their healing, so they wavered in faith and became double minded. They used poor faith tactics and they got no results. So what do good faith tactics look like? Joshua 1:8 ~ This book of the law shall not depart out of thy mouth; but thou shalt meditate therein day and night, that thou mayest observe to do according to all that is written therein: for then thou shalt make thy way prosperous, and then thou shalt have good success. Proverbs 4:20-23 ~ My son, attend to my words; incline thine ear unto my sayings. 21 Let them not depart from thine eyes; keep them in the midst of thine heart. 22 For they are life unto those that find them, and health to all their flesh. 23 Keep thy heart with all diligence; for out of it are the issues of life. These scriptures, and many others, tell us how to establish and maintain hope. 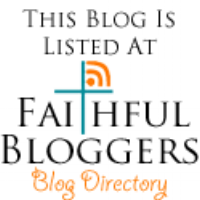 It tells us how to get the blueprint of our faith on the inside of us. Hope must be established before true faith can be released, and true faith begins where the will of God is known. God’s Word is His will for you. Whatever it is you need, find out God’s will for you in His Word first. Wether it is healing, favor, wisdom, direction, or provision, you must be fully persuaded from God’s Word that it is His will FOR YOU. Good faith tactics will find as many passages of scripture possible that speaks to your situation. Pay close attention to the ones that really jump out and stir you up. These are the blueprints of your faith. These are the passages that paint a picture of hope in your heart. This is what gives you a vision of victory. This is where you drop your anchor! After you have taken some time to establish that it is God’s will for you to receive what you are believing for, it is time to release your faith. Before you do that however, you need to make a decision on the inside that no matter what I see or feel I will not let up, back up, or waiver. I will not be moved by what I see or feel, I will hold on to God’s promise until I see it in my life. Every time you put your faith on something and it does not come to pass, your hope was deferred, you hurt your faith, you damage your believer. The more you do that, the harder it will become to establish hope and walk in faith. You will not only lose confidence in your ability to get results by faith, but lose confidence in God. Faith is a fight, it’s a good fight, but it IS a fight. The reason it is called a good fight is, we WIN if we don’t quit. Winning the fight of faith starts and ends with hope. Establish the blueprint of hope in your heart before you start, this is good tactics, and then resist any thought, feeling, or imagination that would turn you away from, and defer that hope. This is spiritual warfare. This may sound a little carnal, but picture a big bouncer outside the door of your heart and mind. Every thought, feeling, or imagination that tries to enter must get carded by that bouncer. If the wrong picture is on the ID, deny it entrance and BOUNCE IT OUT of there! Posted in Faith, Hope, Victorious Living!